Thanks a lot for your submissions! We are currently in the final phase of the review. Expect the first draft of the schedule for the end of the week. Important: Don’t forget that the Call for Papers for the 1st Reversing and Offensive-oriented Trends Symposium 2017 (ROOTS) is still open and was extended to 15 August 2017 ! 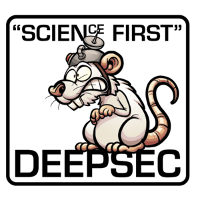 Please submit and help us to put more science into infosec! Given the headlines in the IT (security) news we need all the facts we can get. This entry was posted on August 3, 2017 at 12:17. You can follow any responses to this entry through the RSS 2.0 feed. Both comments and pings are currently closed.